Got any videos, links or just any pictures of cool ones you have seen ? Send them to me with any info you may have so we can all have a look. 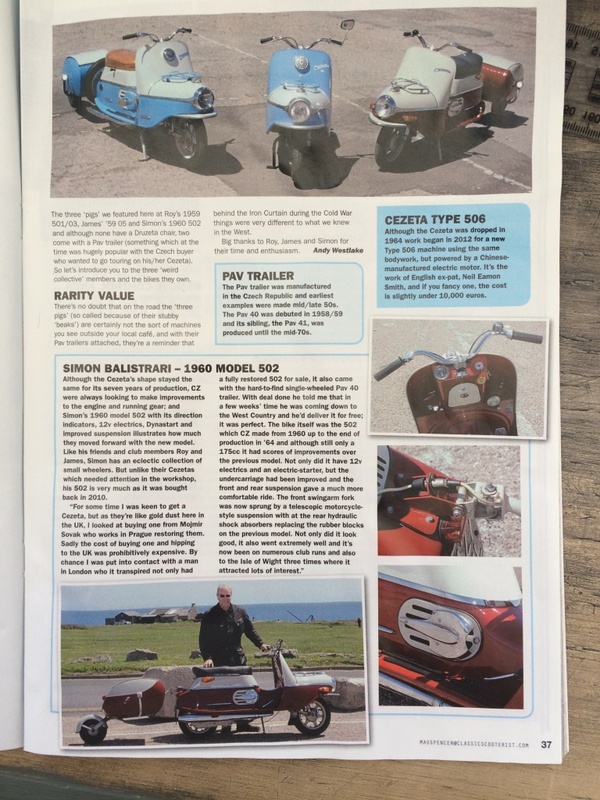 James sent in these pics from the Oct/Nov ’17 issue of Classic Scooterist. 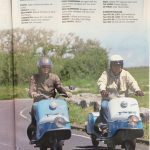 Could the iconic N-Zeta scooter return with electric power? A Stuff article by PAUL OWEN. 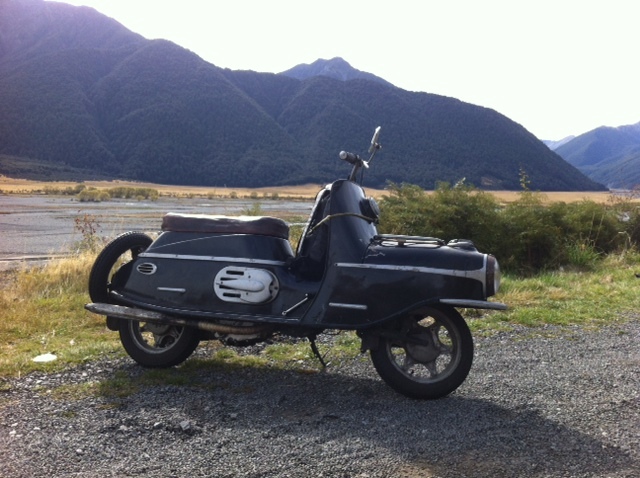 A Cezeta 506 – complete with trailer – a rebirthed electric version of the scooter we in New Zealand once knew as the N-Zeta. 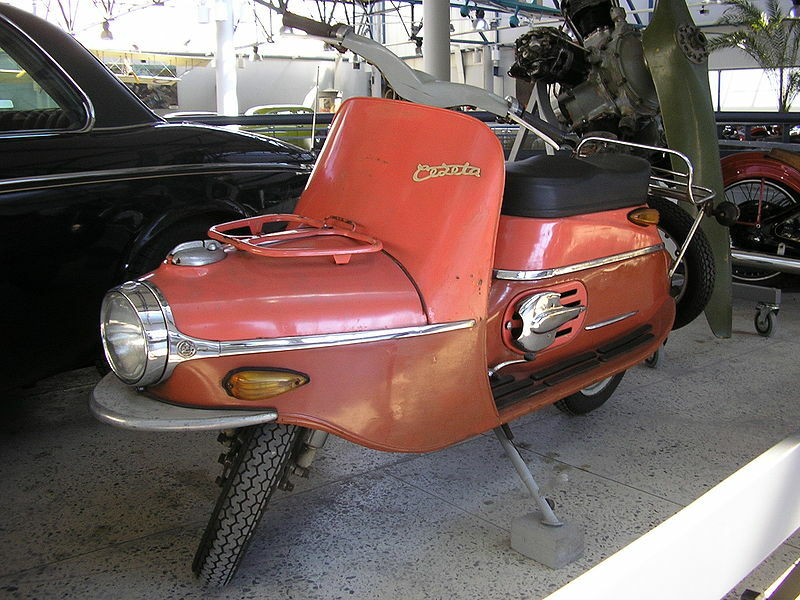 In Europe, the C-Zeta Type 501/502 scooter, produced between 1957 and 1963, was affectionately nick-named “the pig”. Over here, we called the New Zealand-assembled version “the torpedo” for the distinctive long snout that housed a luggage area and the headlight. 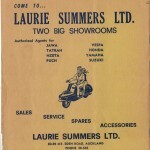 The 501 and 502 were rebranded as N-Zetas by JNZ Manufacturing Limited, the Kiwi company that built 4000 scooters under licence at a South Auckland factory during the early 1960s. Now the N-Zeta could make a return to this market as an electric scooter, following the rebirth of Cezeta in the Czech republic, and the launch of the new 501-502-mimicking Type 506. Add the New Zealand work-force that assembled the bikes, and the N-Zeta just squeaked above the “25 per cent” barrier. For any Kiwi entrepreneur who wants to get involved, just a change of badge would be required this time around. Cezeta have already announced plans to sell the Type 506 in the UK, US, and Australia, and it seems a small step to include New Zealand in its marketing to English-speaking nations. Further to this, the revival of the Czech scooter brand is being led by a Brit, Neil Eamonn Smith. Smith moved to the Czech Republic from his native Great Britain, and first noticed a C-Zeta when attending a wedding soon after his arrival there in 1998. 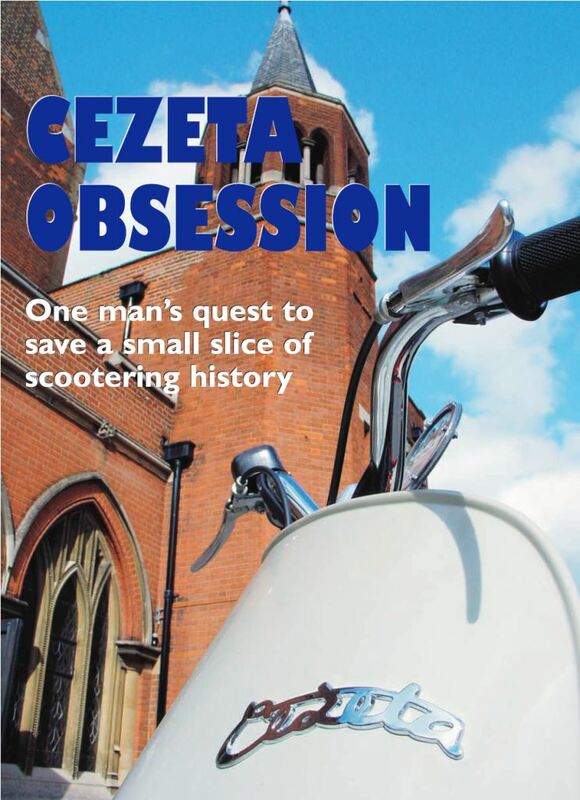 His ownership of the C-Zeta led Smith to develop a business restoring old scooters and replacing their smoky two-stroke combustion engines with electric motors and batteries. This in turn led to his most ambitious project of all – the restoration of an old motorcycle factory in Prague to house his new company, Cezeta. Thus from the ashes of Communism in Eastern Europe, the successor to the once-famous C-Z brand was born. Work soon began on the Type 506, which would eventually retain just the exterior design cues of the original C-Zetas, and discard virtually everything else. 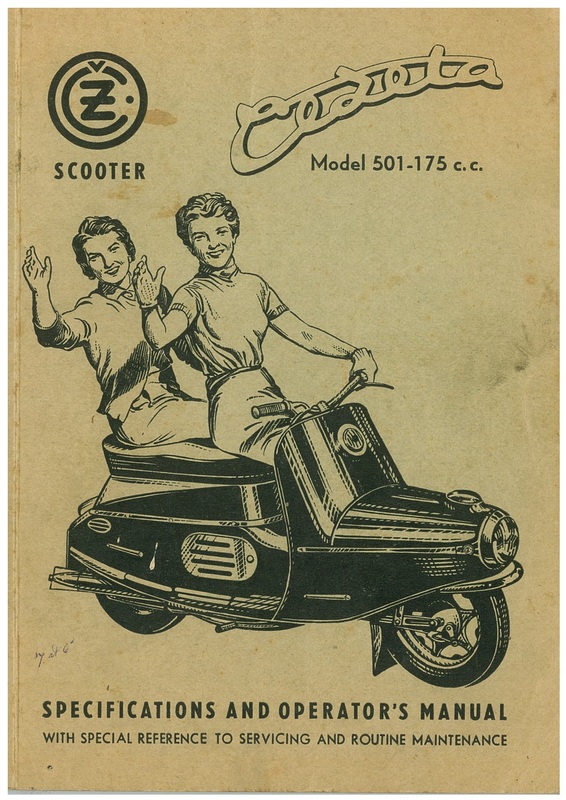 Even those are changed slightly – the 506 rides on 13 inch wheels instead of 12 and has a longer rear swingarm – both in the interests of blessing the scooter with extra stability. Smith soon found that he could not retain the pressed steel monocoque construction of the 501/502, and opted to build the 506 with an aluminium spaceframe clad with composite bodywork instead. The cost savings allow the 506 to be priced at around 5000 pounds in the UK, and approximately $8500 in USA. Such prices would appear to translate to the Type 506 selling for $15,000-$17,000 in this market. An interesting design feature of the 506 is the flexibility built into its battery packaging and its connections to the wiring loom of the bike, so that owners of earlier models can easily upgrade their battery packs as better energy storage technologies develop. The first 506 came with a 3.5kWh lithium-ion battery array that allowed a range of 60km, but there are now 5kWh and 7.5kWh options available, that increase the range to 90km and 130km respectively. If that’s not enough, a single-wheel battery trailer can be towed behind the scooter that extends its range to 250km. A rear-hub- mounted brushless electric motor drives the 506, and can produce 8kW of power continuously or 11kW in short bursts. 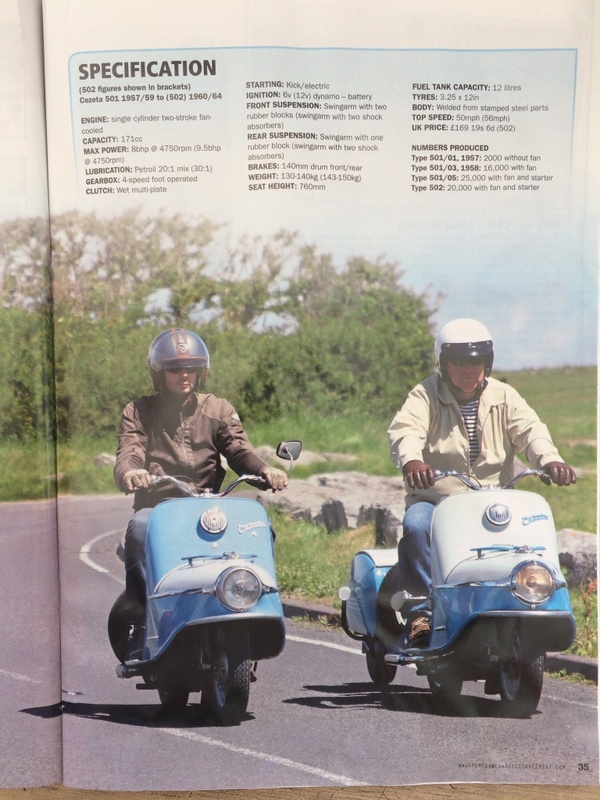 There is 215Nm of riding force available right from the get-go – 10 times more than my Vespa 300GTS. The 506 weighs 130kg without the battery, and can accelerate from 0-60kmh in 3.2 seconds. When equipped with the largest battery, top speed is a giddy 120km/h. The Type 506 comes with a fail-safe automatic charger that is built into the bike and will recharge the bike in four to five hours before turning itself off. An optional fast charger can reduce the recharging time to 30 minutes. The Panasonic LiFeYPO4 battery cells are the same internal battery components as used by Tesla and Toyota, and the Type 506 comes with a warranty of three years/45,000km. All the numbers add up to the most convincing electric scooter that has emerged so far. That it can also play the heritage card and could easily occupy a place amongst all other Kiwiana can be regarded as bonuses. Just had some new chrome parts delivered and they look good. Cheaper than chroming the original ones here. 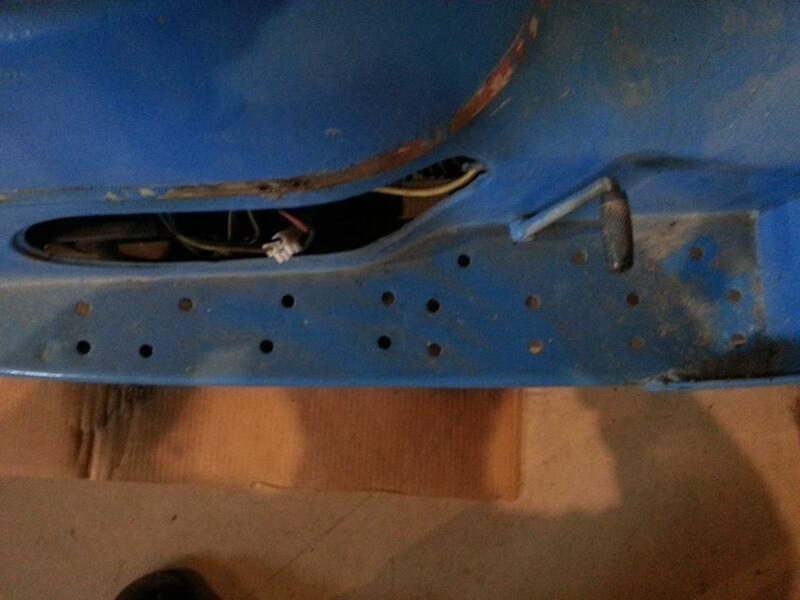 He doesn’t have the headlight surround trim or the half round seat front trim but is working on it. 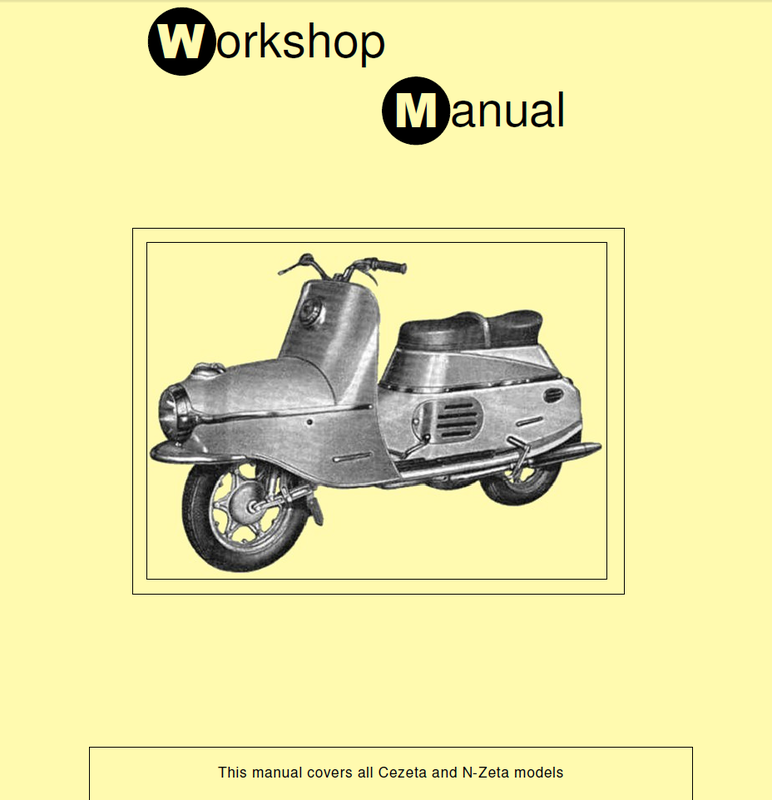 Thanks to Paul Nagels for sending in some parts lists and user manuals in electronic format, now available in the downloads section. 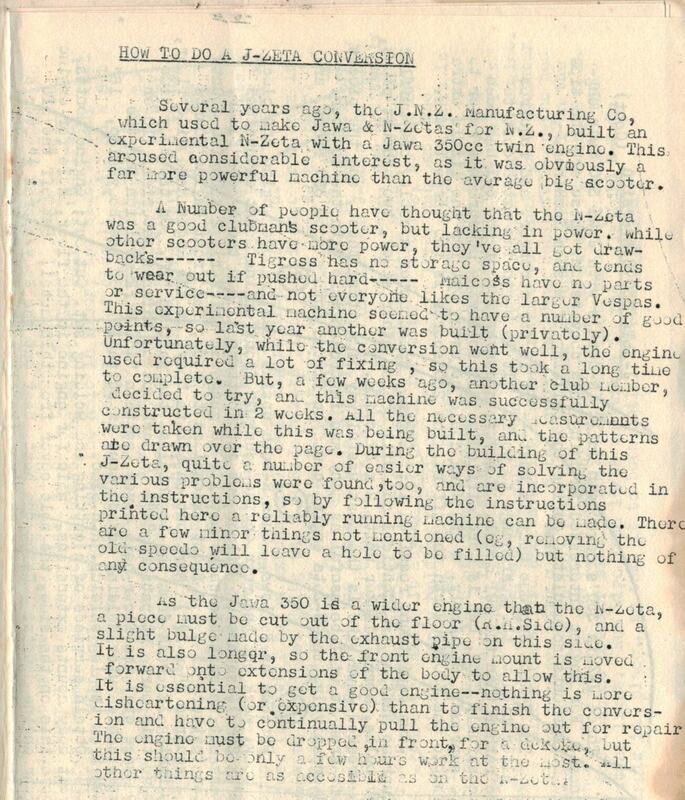 Paul Nagels has found this information regarding J.F Koch the designer of the original Cezeta scooter. 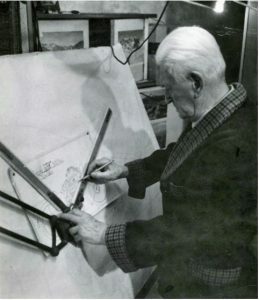 Jaroslav František Koch was born on 15 August 1893 in Mcely – a village in Central Bohemia near Prague. He trained as a locksmith before moving to Prague to study industrial machinery. 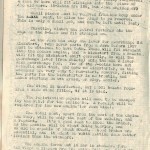 In World War I he worked at an aircraft factory in Austria and after the war he started working for the Avia aircraft factory before commencing work on his first motorbike – the FJK 350. Subsequently he showed his skill for design with the legendary Praga BD 500. In 1940 he patented a revolutionary design for a monocoque scooter before being hired by ČZ Strakonice, at that time joined with Jawa as the largest motorcycle manufacturer in the world. Here he worked on his greatest success, the world-famous Čezeta scooter. Production of Cezeta Type 501s started in the late 1950s and will have its 60th anniversary in 2017. Over 100,000 have been sold. 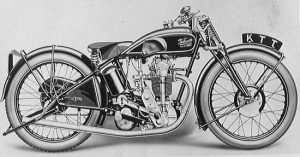 Apart from motorcycle construction, J.F.Koch was a very successful competition motorcycle rider. He died in 1983 at the age of 90. A memorial stands in the square of his birthplace. 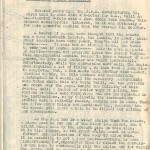 Douglas found this article by Peter Stone and forwarded it to me. It has been translated at some stage to english and makes for interesting reading. Translator’s Note: the texts are translated literally, may be present in these inaccuracies concerning the Duke or spelling, claims the author can match his view that came from Czechoslovakia. 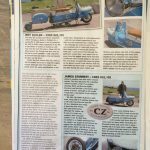 The publication of the article is not intended to harm anyone, but the goal is to publish a comprehensive interview about the history of the motorcycle ČZ and Jawa in New Zealand. Still, it is more important to preserve the originality of the text for its credibility and authenticity before the changes in the purposes of the correctness of the language. 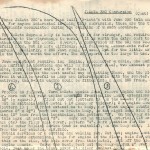 Other documents show that the correct name of the so-called. Mr. Koteneze was Mr. Interpretation. 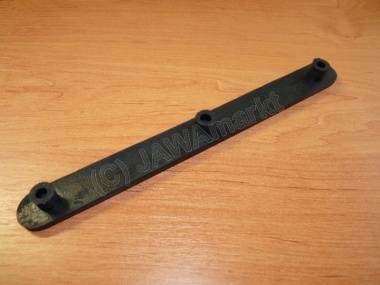 When did you start importing Jawa Jawa and why? The story is a little longer. I met a man named Laurie Summers over the policeman from Sandringhamu. One evening, the Triumph Speed Twin Laurie Summers broke down in Sandringhamu. A local police officer in the military police had the Indiana performing and was tired of attempts to police the old bike maintained. So I usually call me to take care of her. Then when Laurie motorbike that broke Friday night, took a police officer Laurie corner to the House, where lived Velda. Velda (which I later took) lived across from me and her Daddy left me, I corrected that Indiana in his garage, because my dad was against the bikes. I repaired the motorcycle, and he drove off. Later, a couple of times. He was a great teacher with wavy hair. In any case, but it became clear that previously purchased and sold motorcycles and it was financed by his father-in-law. 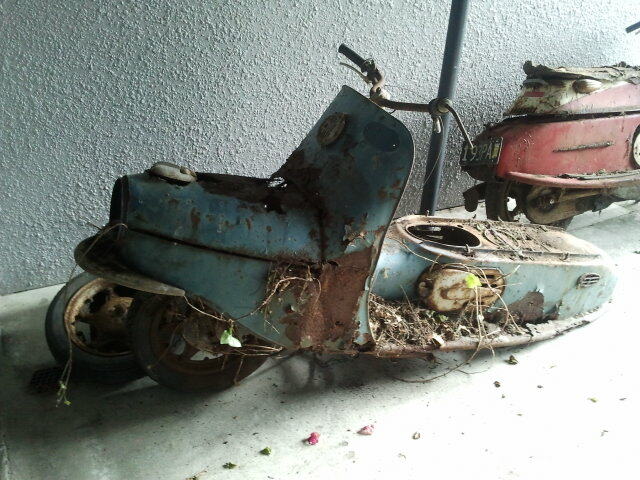 I always bought the bike, put it back into shape slowly, a couple of weeks on it, while he worked on it. Use it for your transportation to and from school, and then sold it for a profit. Then immediately bought another bike, and so have a part-time job and still had a motorcycle riding. Subsequently, he and his dad, and even a man named Wilkinson, who was a motorcycle mechanic, smaller size, decided to start a company in which each owned one-third. It was around the year 1949. Wilkinson got scared at the last minute and backed out from the project. So Mr. Summers arrived one Friday night and asked me if I’d be interested to add that I would put my workshop as its investment in the company, Laurie Summers Ltd. Workshop I had pretty well equipped, I owned a rack power drill, a small lathe and all the necessary tools. So I joined, and the three of us started the company dealing with motorcycles. 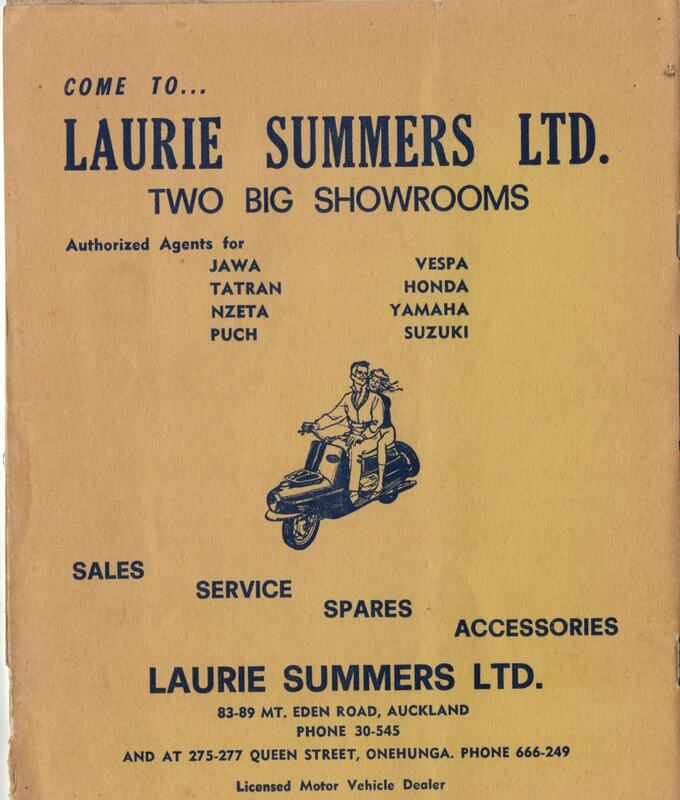 When the import licences for the New Zealand a bit simpler, Laurie made contact with Bill White on representation for Triumph, Norton, Ariel and Velo. Bill’s a pretty curious, because we were literally just around the corner, about 300 yards from the store of John Dalese. 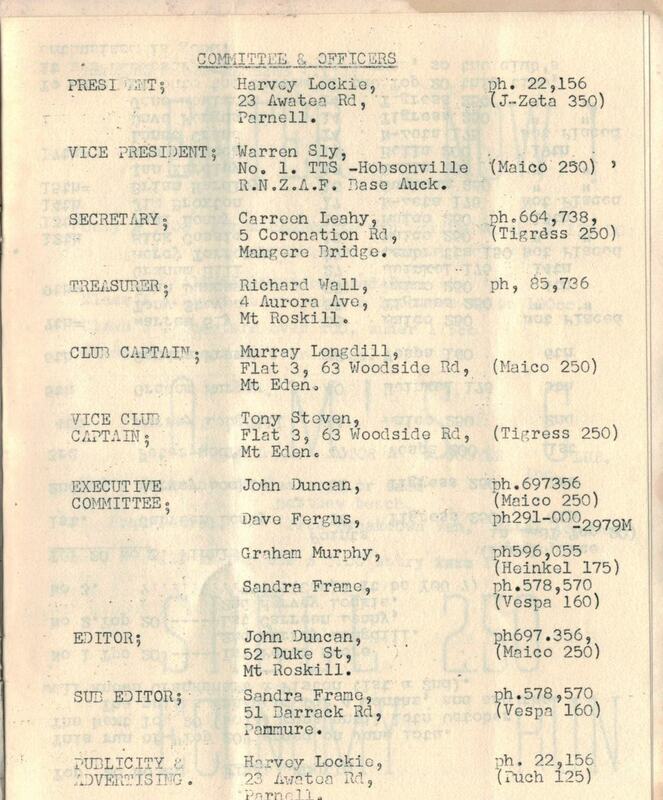 This gave Bill White about the size of a car showroom 250 yards. So we started as a representation of the Velocette. The first Velocette we got brand new, it was a model of Velocette LE. 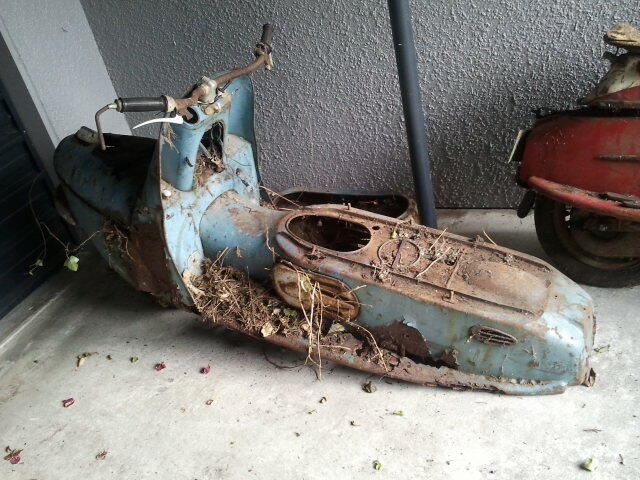 It was, of course, a terrible thing, it destroyed the Velocette. Withdraw it’s mine, it’s completely ruined, just at that time the Velocette zbankrotovalo, when they returned to the LE model production costs. Then one day he called me Laurie household phone and says “Peter, have you ever heard about manuals Jawa?”. 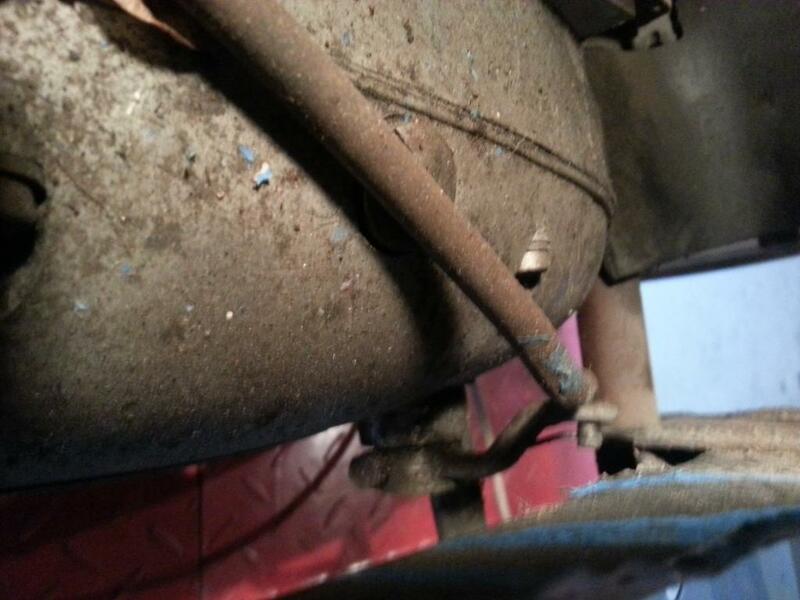 I said “Yeah, that is a retired 125cc 2-stroke.” “And how is it? It is good? “he asked. I said” without a doubt the best two-stroke in the world. 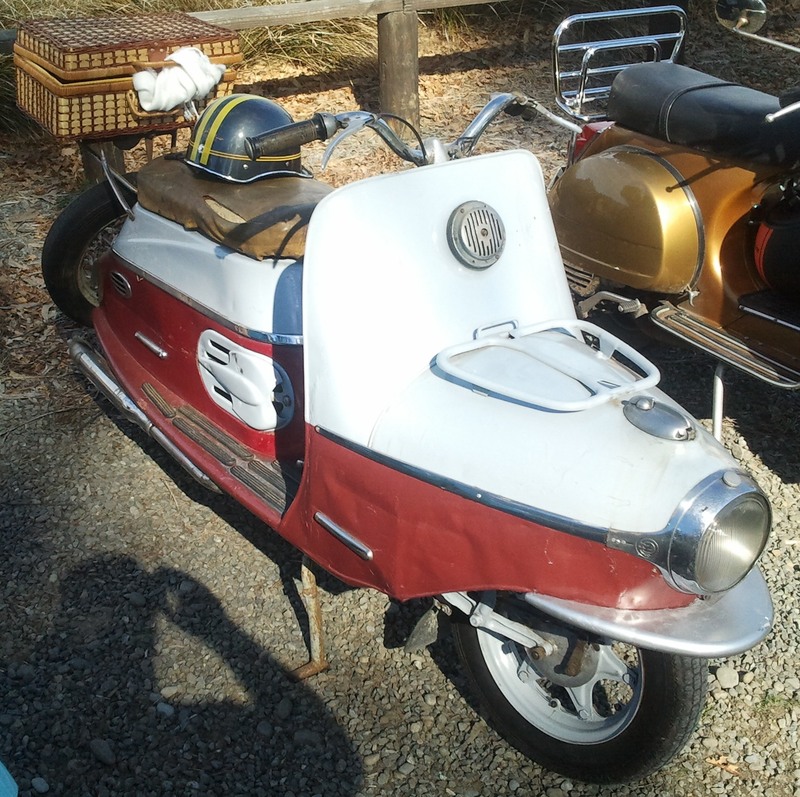 It is an excellent motorcycle, when the six-team won several times the price. If there is a good two-stroke cycle, so it’s this. Why? ” He said “you don’t want to come to the Office?” So I went there and there was “little Russian”, so we called at the time, it was Mr. on behalf of Cotenetze (from the English of the original transcribed?) and was from the Czech Embassy. 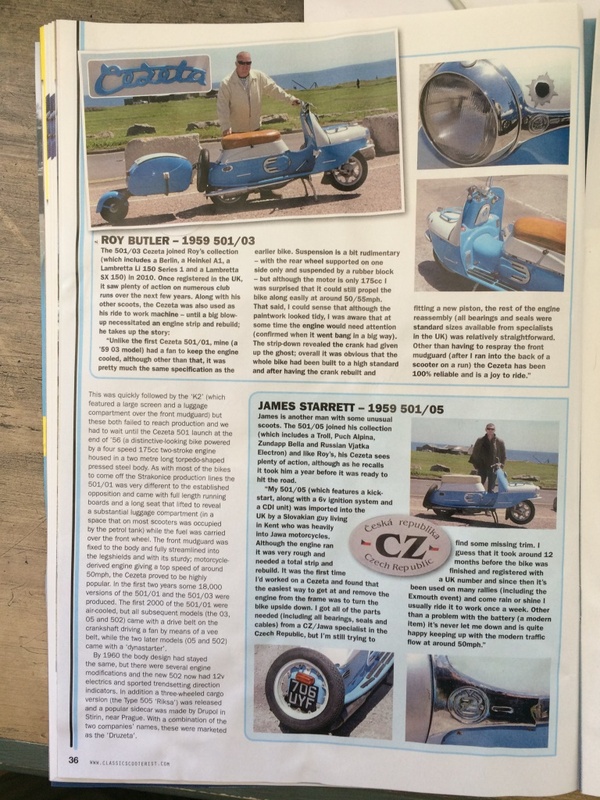 “We are looking for some people who would have imported motorcycles Jawa and ČZ”. 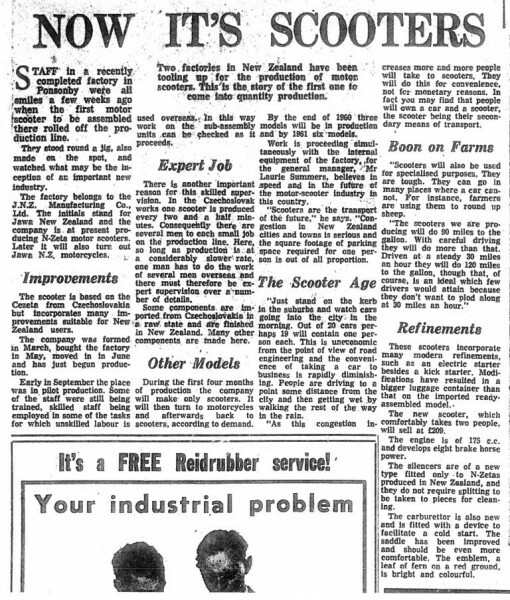 Someone else had won representation in the McFarlands to the South Island and Mr. Coteneze are offering representation for the North Island for Jawa and ČZ. Now we were probably the only company in the middle of Auckland, which has not committed to any tag, so it was probably also the geographic advantage is much greater than any other. At the time, but were just people in New Zealand is strongly protikomunističtí. They were right, fury, and nobody wanted to have anything to do with the Communists. But Laurie is set and in this project were involved and some people from the Government. Several politicians very strongly about free trade agreement with Czechoslovakia. The whole affair with Czechoslovakia should so that the whole thing was made through the Bank of England, and when they were introduced, Jawa and Čízy we never pay any Czechs, but we paid the Bank of England, which has been negotiated by the whole thing. So our money always went to the Bank of England and if you ever were given to Czechoslovakia, it really beats me. 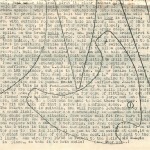 In any case, the thing to which we quickly came up, was that Mr. Conenetze was quite stingy on the words. But then there was a man named Georgie Kubish, who was once head of the ISDT team, which went on a six-day in England and Jawa won there. Georgia was a very kind man Kubish, spoke little English and was obviously a large anti-Communist. Very soon, we have gained the impression that the Czechs were not Communists, but were forced by the Communists to the Communists. So I took a rather more liberal attitude towards the Czechs for me to indicate the “commies”, and I just took it that way, that the Communists were not. They were already prisoners of war more than anyone could imagine. It was a terrible situation. They decided to use as a representation for the North Island we get the trial period for Jawu and ČZ. I have never heard of the CZ. 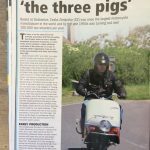 By this time I was in a situation where official warned me of the equestrian race in the Cust that if I arrive next year on the Velocette KSS, was I so far behind that you will think that I’m going to race for the elderly. It in a special way iritovalo Laurie and it reminded him of the Crystal night, when the Nazis completely destroyed his uncle’s shop in Germany. He was a German Jew, and this has led to the fact that the family Summersů in speed, she fled to England. Laurie was the remark about the fact that I was so far behind, the Prosecutor, because Laurie claimed that it was the prejudice and it’s not based on my expended effort or anything else. So he said, “if they want war, we’ll give them war. We’ll Get A Velocette KTT. 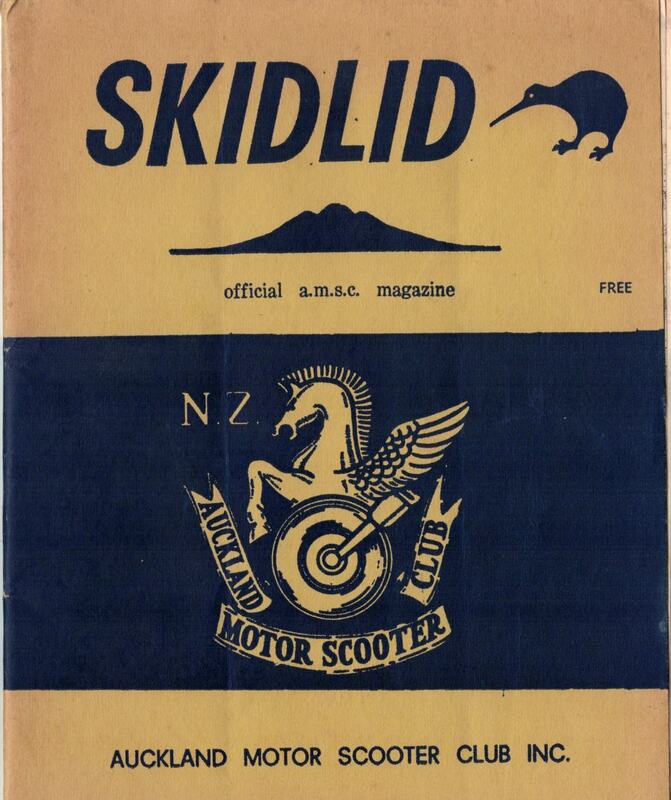 ” Where we just got hold of the Velocette KTT, New Zealand were only two and were not for sale. We go to Australia one KTT to buy and we will be there, don’t bring it 250 and Jawu, to see what will be the reaction in the streets of Auckland. We flew with Peter. It was my first years in life. Lasted nine hours and we thought that it was amazing – not three days and two night on the ship. Nine hours and this beautiful thing called plane was in Sydney. It was in 1951. I was on the way with a nice line of things that I needed to get ahold of, inter alia, a bag of coral beads for Veldu on wedding dresses and a few other things that she wanted. 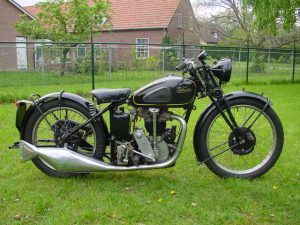 We went to look at the two Velocette – old Velocette Ernie Ringa, which was tremendously fast, and successfully, and then a completely new Velocette Kekeho Brian, which broke during the first race. We should buy? It was a real puzzle. I was to look at both the machines and I talked about it with Eric McPhersonem. I called Lauriemu and told him “I think for myself I would have bought it new, but worth 510 Australian pounds.” But we had a budget of £ 450. You have to remember that at that time, I was the Manager of the service with Laurie Summerce for 9 pounds a week, so you can imagine that the 510 pounds was a lot of money for a motorcycle. 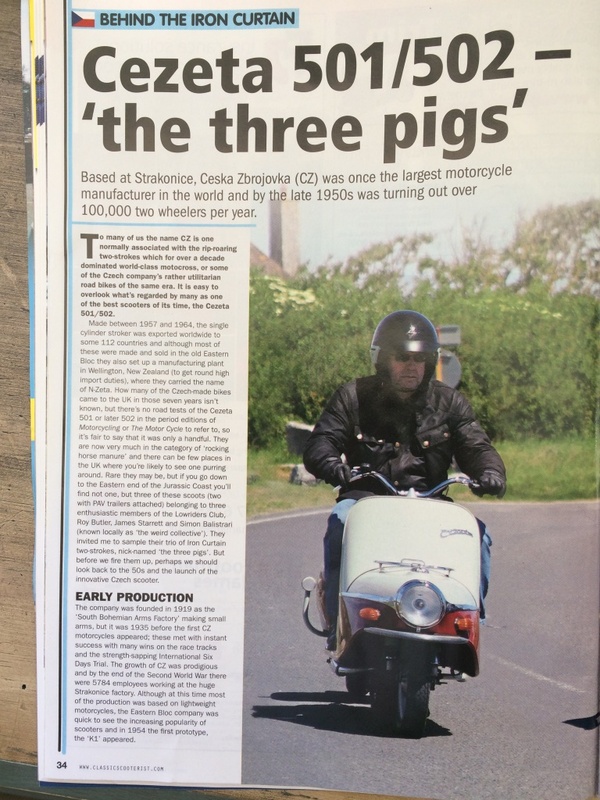 The problem was that when I spend the £ 510 for Velocette, I won’t have 240 pounds on Jawu. So I called Lauriemu and told him that they don’t want to negotiate about the price and he said that he was in the Reserve Bank if it would provide us with some additional funds from overseas, but they won’t give us or Otter. He told me to “buy and bring it 150 CZ home.” So instead of Jawa 250 was the first us imported Czechoslovakian motorcycle ČZ 150 to New Zealand. 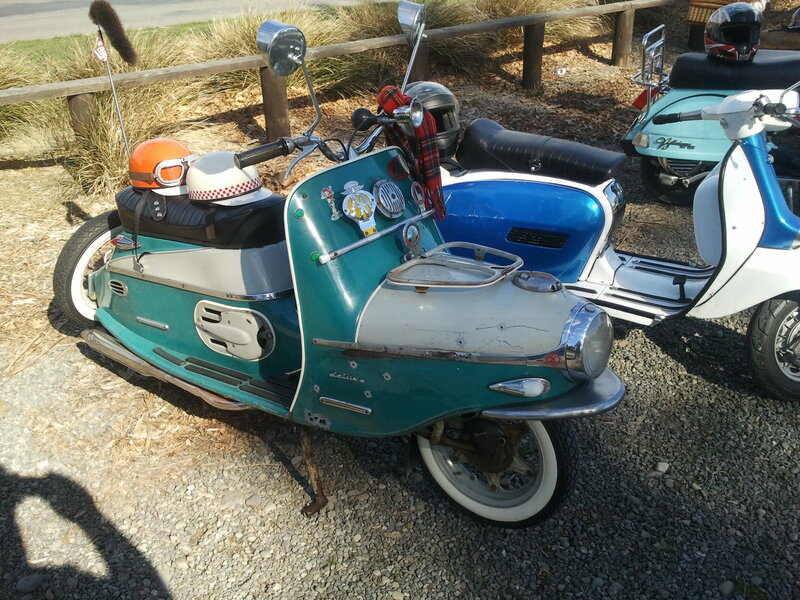 I have pictures of the bike shot still in Sydney. When I travelled on it two or three days after Sydney, I got into all sorts of trouble with the local police for parking on the bridge and climbing the Sydney Harbour Bridge to the construction of the bridge, so I could take pictures. 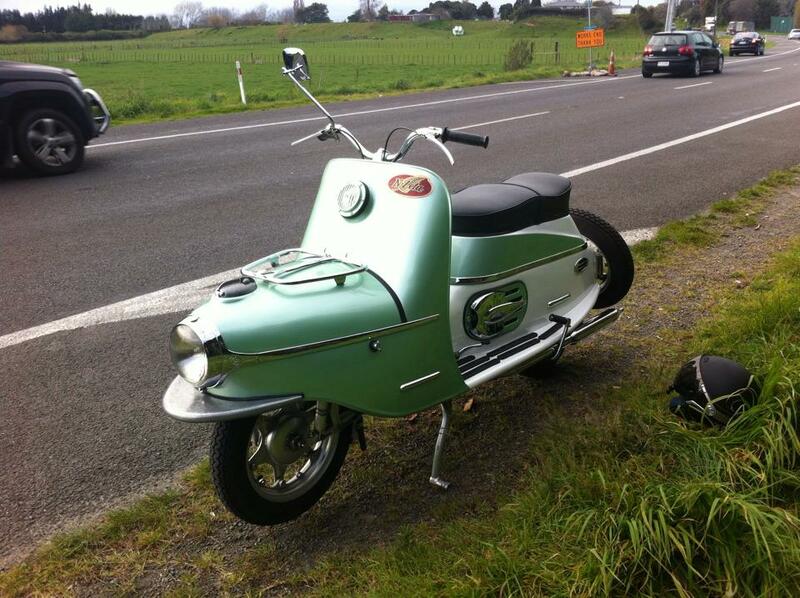 So she got to New Zealand as the first Jawa, ČZ 150, not 250. If it were completely different factories. 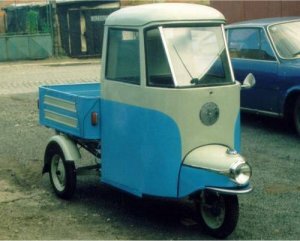 The only connection between the Jawa and ČZ was that they were both owned by the same capitalist “national enterprise”, as it was explained to me, it was the Czech name for “State Enterprise”. Followed by a burst of laughter. Both brands use ignition PAL, light, PAL, Carburetors, etc., but Jikov only arrangements Josepfha Lucas. There was no connection between them, in fact, been some tension between them, and bias. Over time, I found out that the people of ČZ never influence my thinking and that not one single, while the people were a bit of a Jawa snobs, they thought they were good, super-creatures, while the people of ČZ were and still are wonderful. As proof of this is, for example, that to me here on the wall hanging their this year’s calendar, sent to me by yourself. The only part of ČZ, which still exists, is a factory producing chains. The rest is gone, all the corridors are now practically empty of either or are occupied by other people. At the time, when I was in the factory, workers and 7000 is now still there around 6000 people who are employed by private companies. It is produced by a large amount there. Works there and aluminum foundry that produces transmissions and parts for Skoda and VW. When I was in Strakonice in 1960s, it was a village with about 7000 inhabitants. Today it is a city with approximately 60 000 inhabitants. Now this is a very modern city, in which there are discos. At that time the largest hotel, the White Wolf and had four rooms. Now this is a shop with feminine fashion and on a side street is located forty-room hotel. I was again in Strakonice in July 2007. He took a video of the ČZ factory as it looks now, and also from the lunch, which they made for me. I also have a video from the Museum, the Museum of Jawa, ČZ, current races, plochodrážních motorcycles Jawa JRM (Jawa wanted too much money for continued use of the tag, so the Speedway motorcycles renamed-Jawa was silly, since these Speedway motorcycles are now much better known than their present cruising motorcycles. I think that you yourself in doing so). In this way we have built an alliance with Kotenezem and we started importing Jawa and ČZ. There is something I assume that Laurie Summers never admit, but it was the mere fact that they are directly dropped into my lap happiness. There were many anti-Communist resentment against Jawám. The first racing Jawa, we’ve received for advertising purposes, Jawa 250 was the engine for international competition in the current frame. 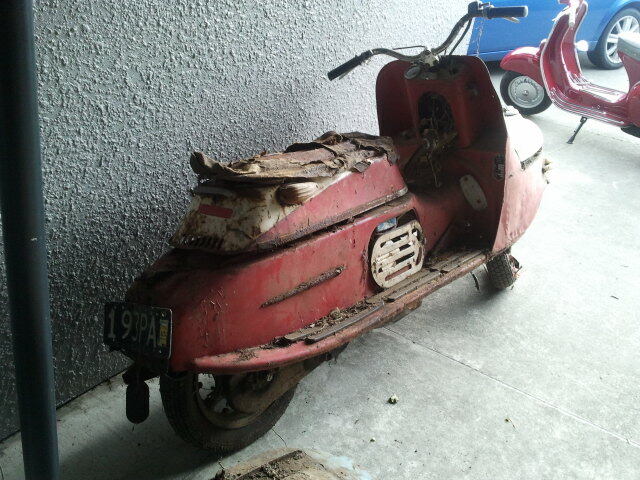 We used this bike for races in Seagrove. When I got there the first time, it started out, they threw tomatoes at me, because I was a Communist, which was not very pleasant. Then our true happiness. Department of post and Telegraph was searching for people on the installation of power lines and phones, but they could not get hold of anyone. And so they hired workers from Holland and you buy a motorcycle from us dozens and dozens. All have served in the military lodges in the Park Waikara, which became a transit camp. The Dutch were here, making, and the first thing they wanted was a transport and a single motorbike, which they knew, they were Jawas. Jawa motorcycles, which were just knew each other, trust them and before them already rode. How to repair them and they came to buy them together usually in two. Dutch workers phone company of the Czechoslovak motor cycles without a doubt have extended on the roads, they made them commonly occurring motorcycles. Of course, to go against them in use on the Villiersu with the engine of a capacity of 200ccm James-can you imagine how pleasantly surprised is Jawa, and everyone looked at them and thought, “hm, so this is the bike, what?”. Thus we started with. It was in the street Ponsonby No. 22, it is now the parking lot of the Salvation Army. The Salvation Army was now in the annex building, owned and our building and we get it out of them. They were there until 1960, and just when I returned from Czechoslovakia from moved to new premises at Mt Eden. 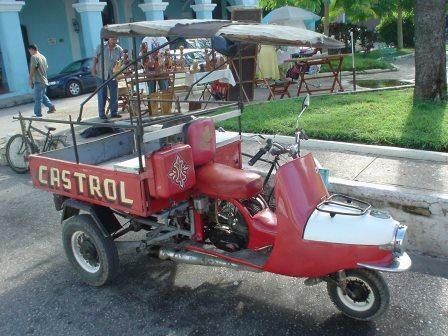 The motorcycles were imported fully assembled. Now it’s drama. 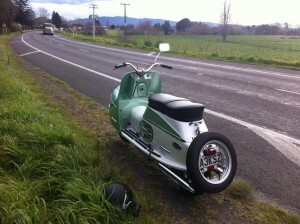 The Government of New Zealand passed a law, that the motorcycles would have to be imported in parts as well as the car. 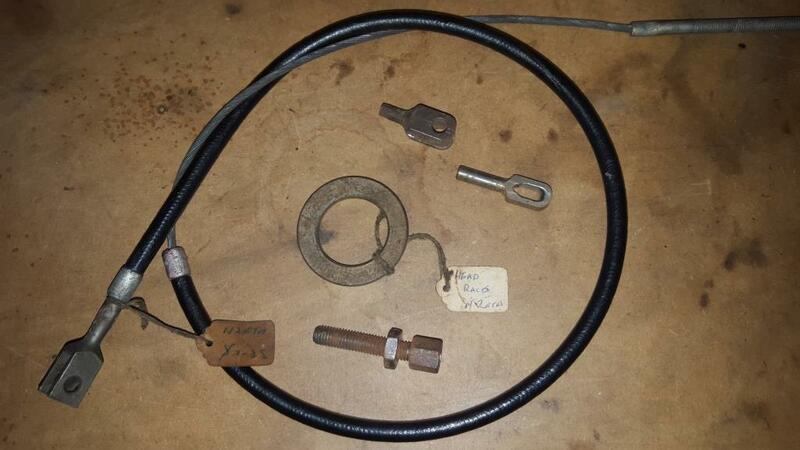 All Fords, Chevys Austiny, Maurice, and Hillmany have been imported in pieces and assembled here. There were exceptions such as Rolls Royce, Bentley and Armstrong Sidely you but having to ask individually, car after car, so that you can import. Now the US Government said that either we import motorcycles after importing parts or not at all, or they are delivered so little that it’s not worthwhile. We wouldn’t carry them very much motor, how many we would like. Not that we have imported a lot of them, but we would like if we have imported two or three per week. If we wanted to deliver a reasonable amount, we had is imported after the works and 30% of the value of the product had to be from New Zealand, and this was during the two years before rising to 50%. And so we started to deal with factories ČZ and Jawa. Laurie wanted us brought Čezeta motor scooter … to Willis? It was a fashion, which was called the submarine crew for dvojčlennou. As a result, they decided that I will be technical manager of the factory, and that I’m going to JNZ Czechoslovakia to learn how to compose and manufacture parts. So I went there in 1960 to study, how to compose a great speed of motorcycles and scooters, which was a big thing. Anyone can fold the bike, doing what I’m doing and it takes him six months. But we have had to produce eight daily, one per hour-it was a matter of the economy. Our goal was to make them 40 a week, which was an all time low, it paid off. So I had to learn this and I also have to agree with them that were suitable for the production of parts with us, and so I spent over four months in Czechoslovakia. It was probably the most memorable time of my life, it was a real adventure. At that time I did not drink beer, in fact I drank very little. Maybe I sometimes put a glass of punch on the ceremony of the races, but as a real racer I just drank. Unfortunately, I was smoking, but in those days he smoked everyone. If you have people around you offered a cigarette and a man told you “no, I don’t smoke.” everyone looked at him as he stands out from the crowd. You can’t drink the water in Czechoslovakia, you need to go to the gas station on the corner to načepovali drinking water. The water in the tap water is the water of the River, so you can’t drink it. And so do you drink beer and the first three words that English you learn are “one beer please”. When I went to the hotel and the waitress brought me a menu, I just said to her, “ja, ja, Yai”. “Please”. She took me by the hand in such a special way, by how the Czechs are doing and led me into the kitchen. We took a little meat, dumplings and a few other things. It was really good. So until I know what’s in it, then I didn’t want to eat. Served me and I still like it. Even though I don’t drink it whenever I’m not a man. But when I went to the Czech Republic again later, we went to the restaurant one night Golden Anvil and the waiter looked at me and I said “One of Pilsen please”. He left and my host said to me “you’re drinking Plzeň?”. Then we of course go to plum brandy. You can’t even imagine. I told him “this is weak”. “Yeah, but when you’re here, so you told me, that this drink at home.” “But” he told me to do it “that’s different, it’s not commercial. You won’t get it now, it is not now. Plum is a nice plum brandy and I fully enjoyed his second visit to the Czech Republic. I used to live in the city where they are produced, Belgium. 60 percent of the area of the city include the Škoda factory, 60 percent of the population is directly employed in the Škoda factory. Repairs there and shoes produces clothing and clean streets. But the damage is now owned by VW and you hear “Oh yeah … this month you’ll need to do this … we have to achieve this … We manufacture manual and here is what do we have to produce, devadesátčtyři, (?) -No, no, a thousand! ” What? This is for VW, Audi, Škodovku, Tatra, something in Sweden. There are a dozen different cars and all the used the gear made in the Škoda factory. The whole thing is totally zracionalizovaná and the enormity of the Skoda works. “The area of Belgium takes up 150% of the area of Monaco. We could ride the “Grand Prix here, if we wanted to.” And actually could, it’s big enough. 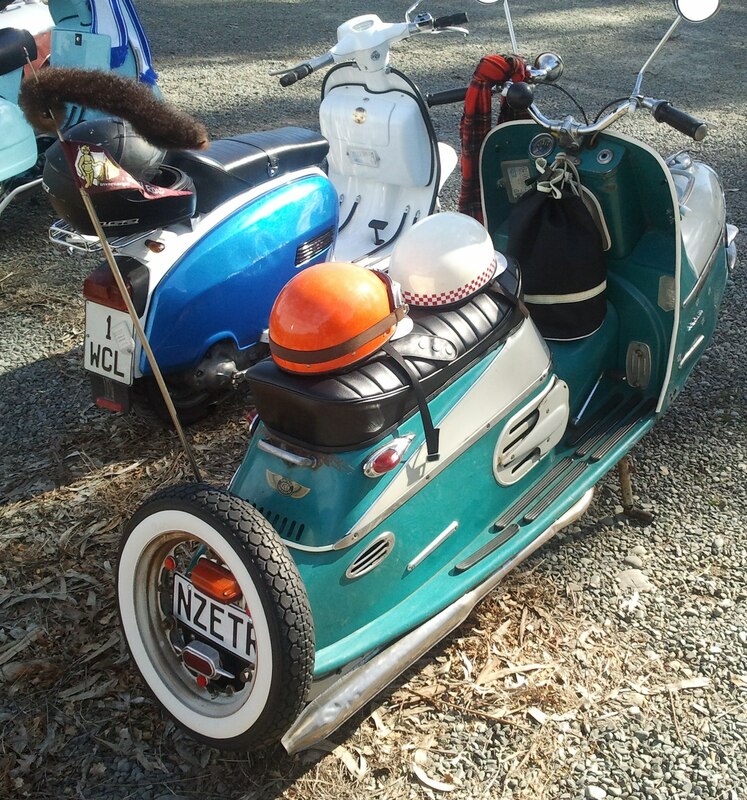 What is the percentage of two-cylinder 175tek, 250tek, 350tek and scooters NZet? I probably would have guessed, but I would say that NZety were over half of production, two-stroke 175ccm and 250 have been around 15%. The rest were motorcycles as 350tky and various specials, this is purely what I remember from the head of the earlier times. The people most wanted to Třistapadesátku, but the dvěstěpadesátka was 188 pounds and 350 I think I stood around 220 pounds, it was relatively expensive and beautiful bike. Another interesting things before we started our project is by folding bikes from parts, was that the first Jawa had problems with the operation. After 1500 to 2000 miles us back and issue a terrible sound, like a cement mixer. She left the main bearings. 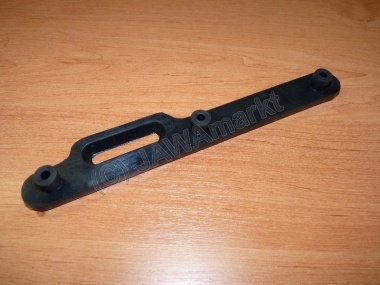 The Czechs failed to produce ball bearings, bearings was simply hopeless. We found that we were returning after 1500 motorcycles up to 2000 miles and we had to replace the bearings under warranty. 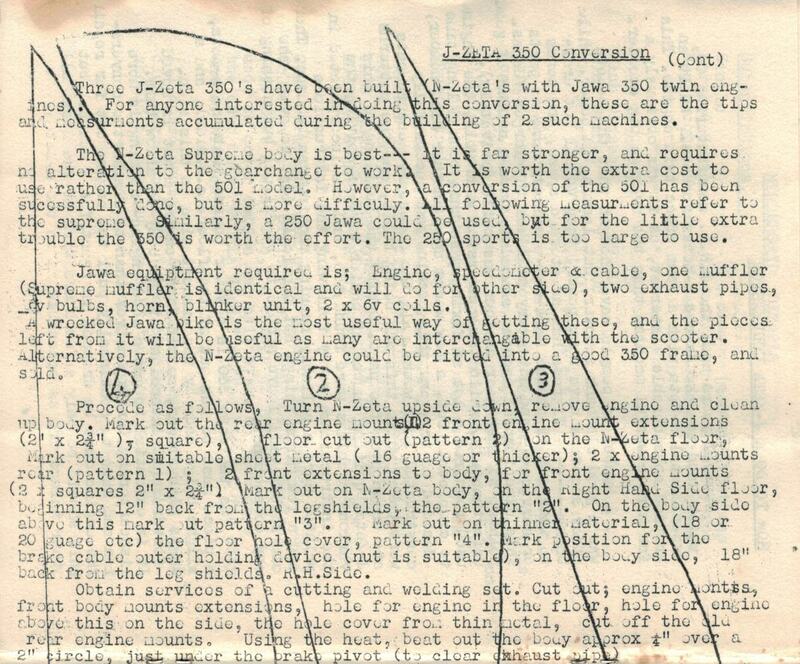 Fortunately, the eye’s ojniční in the manuals Jawa and ČZ produced just as much and that fortunately was fine. If not, then it would be a disaster. I Vymontoval the engine and gave it new bearings … we talked to such perfection that we did it during the two and a half hours. Then it started to spread that our motorcycles had problems and certain other marks on the dealer actually capitalized and took care of it, so that everyone knew. So I said “Let’s Lauriemu an ad in the newspaper, we’re sorry to anyone who had trouble with bearings and bearing change to English free of charge. 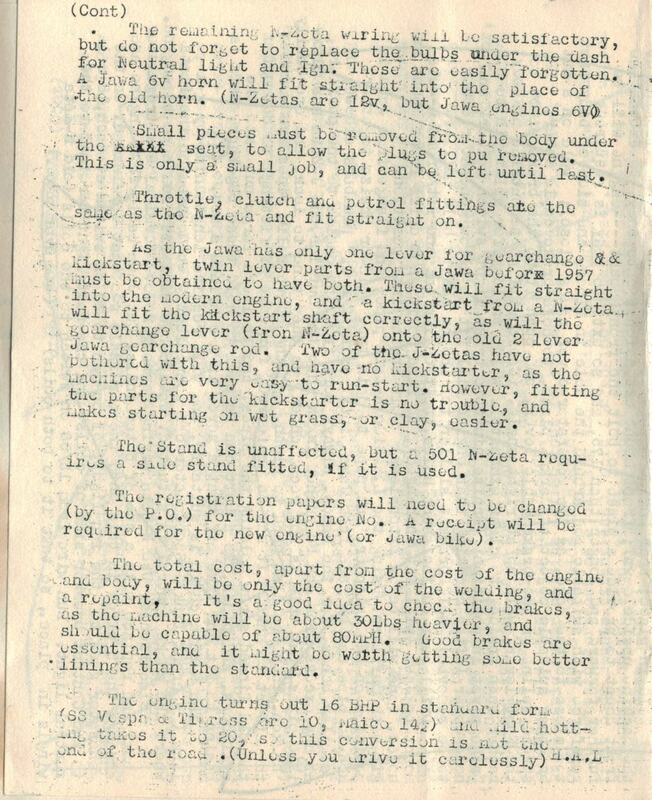 We apologize for the inconvenience and I am pleased to announce that we have with the Jawa and ČZ agreed that from this delivery will be in engines all the ball bearings of the British “. People have asked me “How did you just have reached such an agreement? How do you get the Czechs only British bearing? “I said to them”. We change them yourself, than motorcycles. 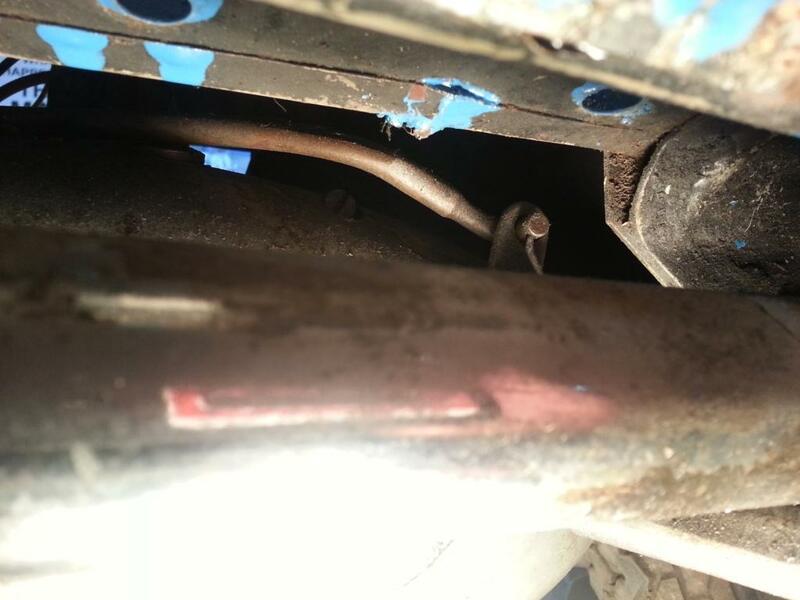 ” And so we each motorcycle immediately after unpacking of boxes moved to the shop floor, dismantled, replaced United bearings of English, and the bike exposed. “Yes, this is one of the new models … they are also English bearings”. Well, while we furnished the the bearings, but never about the servants, we just always said, that the British are equipped with bearings. It was true, we did not lie to anyone and everyone got the English of the bearing. And Kotenetze? Because when he came and saw a pile of Czech bearings, so he says “Aja-jaj, … it will be a problem when sending them back, so just change to United.” I replied, “It is clear to me. What if we somehow agreed? “” Oh yeah, the problem is that they’re awful Communists. ” And so we paid from your. It was four or five pounds. Most of those bearings I swapped in the evening after work myself. Nothing rests, because the company I was getting a fixed salary. All this made things easier, and while it may sound a little naive, but I think it was the right thing for the customer. After all, the worst thing that can happen is when customers no longer buy motorcycles that factory spewing. If you don’t believe me, ask a Velocette. The opposite of which you may ask, is the case when you have a model so good that you are not able to supply the required amount. Here he made a mistake. Norton went bankrupt, because it did not receive enough frames from Renoldse and they were not able to produce enough Dominatorů to maintain production. If they got enough of the frames, so would be due to Norton went bankrupt Triumph. But they did not have sufficient capacity and the company of Renolds Tubes. Another hook, of course, the equipment was PAL. Electro-PAL devices at that time was even worse than Lucas. But it was better than WIPAC. Quickly leaving commutator was but the only thing we really had to tackle. In the commutator to create the Groove and in this way we broke several of the kits. There we, of course, made another hoax. I am, unfortunately, always felt very poorly if it seemed to me that we have someone to copy everything. I can’t stand it when people are okrádáni. And Laurie Summers as a German Jew, he was extremely cautious on the money, which we had these two different properties. But from time to time I have won me. All the kits we supplied for the purchase cost. Nothing we did not earn anything, we were selling to customers exactly what we bought them. 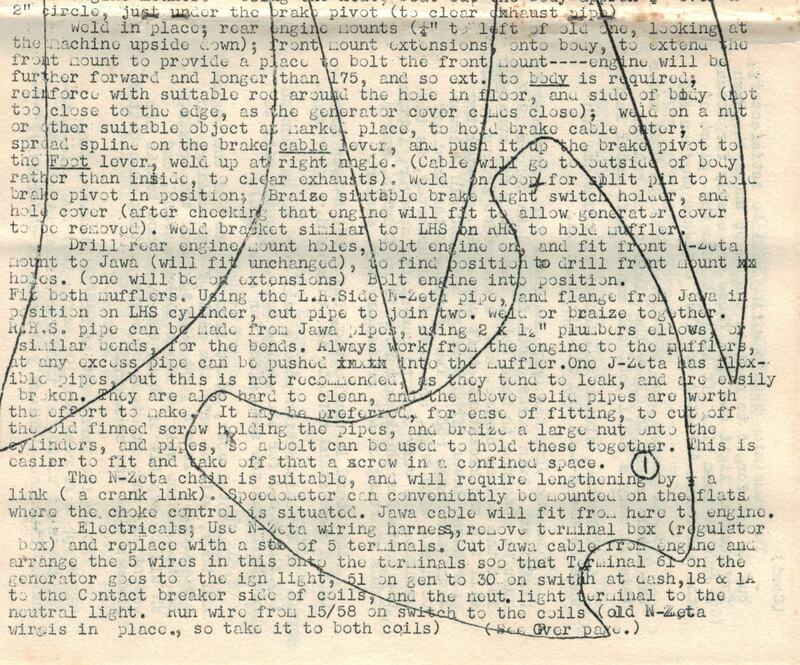 We also did a similar invention on one model of the Pioneers, who had a very bad performance of the ignition. Instead of inductors from Jawa we with the German before the sale. Such things we are doing and we should have peace of mind. We went to the custom Assembly of motorcycles, which was actually very good. From the time when we rented the building until we have compiled the first motorcycle, a mere two months had passed and everything went really quickly. Thirteen employees were working in the factory without the people in the Office. Ten months later, however, the entire building burned down and we lost almost the entire stock of parts, virtually everything we had. All are burned. It was in August 1961. The factory we built again and we again started producing motorcycles in November of the same year. Then came the biggest blow of all, on behalf of the Honda Dream! 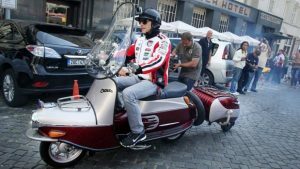 New Zealand Government concluded an agreement with Japan and Honda Dream 125 with OHC divorce, twin engine with electric start, just beautiful motorbike was stronger than Jawa 250. Jawa 250 customers are sold at 188 pounds and if I remember well, Honda came on the market for £ 160 … imported fully assembled. 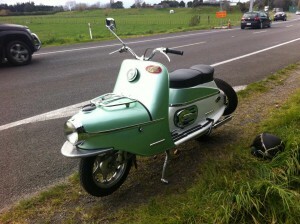 After the Honda Dream get into shops, JNZ stopped manufacturing during the month. 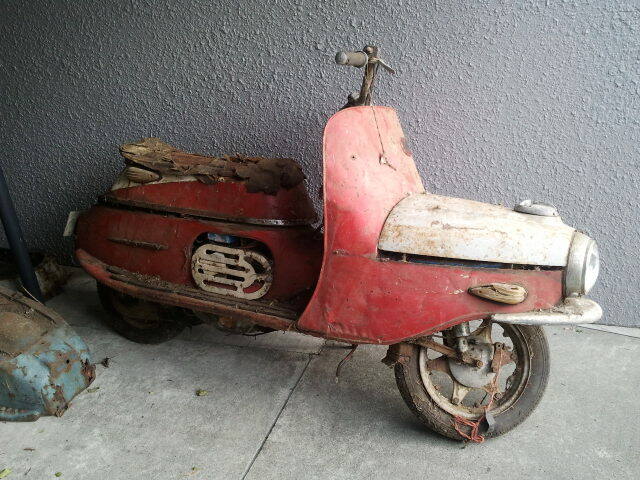 We had scooters … we had to stop, it was not where it is stored, I just wasn’t where we couldn’t go on. 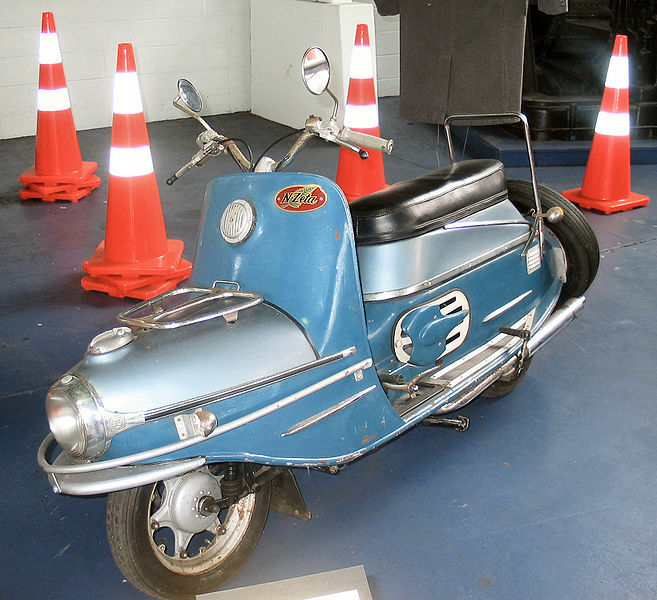 The cost of the scooter NZeta would have been around 150 pounds. What accounted for 30 percent of the locals? It was a fitting, painting, chromium plating, silver plating, all the spotlight. Battery cabinets are manufactured in Hansen Engineering, batteries manufactured by Lucas electrics were completely made Mrs. June Wells. Nastříhala is the required length, teamed up in bundles, it is all completely manually. Also, adjusting the voltage regulators. We never did not come where she took the “third hand” …! It was really handy and Nice. 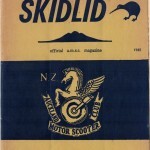 The saddle is produced in Oakland, foam was coming to them, tires and souls were manufactured by Dunlop in New Zealand. 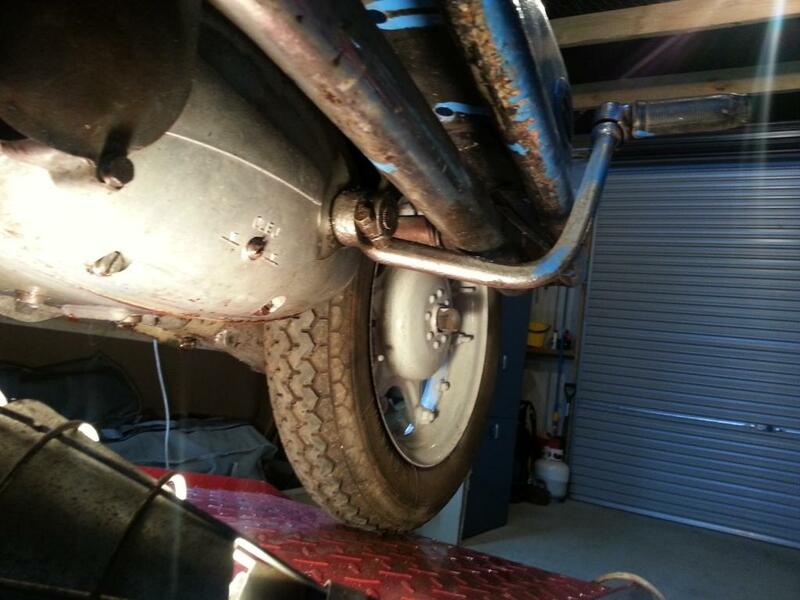 Exhausts come from Southwood Engineering. It was to start it all … and we never got to the stage of number two. Stage two has been postponed due to a fire, we got an exception, but we never got there, since we completed the production. It’s terrible to say, but the Government of New Zealand are literally terrible stabbing in the back. Glenn Pearce sent me this photo from around 1961-1963 of Nzeta workers taken outside at the England Street building. His father Alby was a spray painter and is 5th from the right in the gumboots. Going through boxes of bits and pieces for the NZeta scooters and came across these two items with attached labels from an unknown supplier. No idea how old they are but one is going back a bit. 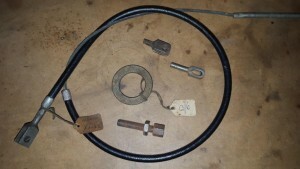 The rear brake cable priced at $2.85 and the steering head race priced at 13/6 around $1.35 in today’s money. Makes the three bucks for the brake cable pretty good buying. 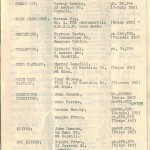 Information kindly supplied by Douglas Ormrod. All Information kindly supplied by Simon Lockie. 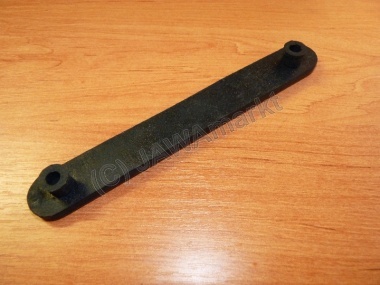 Footrest rubber, a must have for your NZeta restoration. 501’s need 4 with 2 pins, 4 with 3 pins and 6 with 4 pins per scooter. 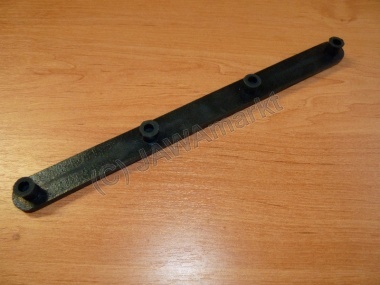 One of the rubbers with the 3 pins has a hole in it for the gear change side as below. 502′s need 5 of the 4 pins. and 2 of the 3 pin rubbers each side. 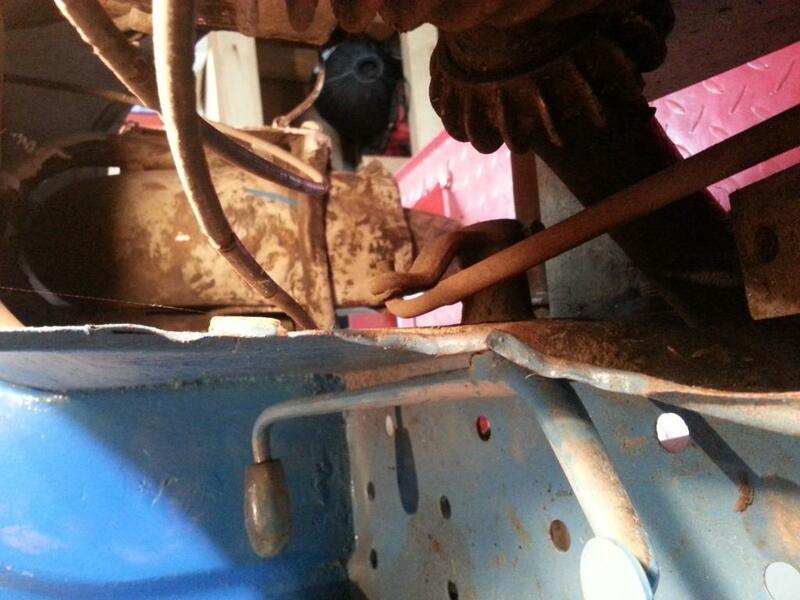 That one 3 pin with the hole is 502 only, gearshift goes down through it. NZeta 501 kick start and gear change linkage pictures in case you don’t have these parts and want to know what they look like. 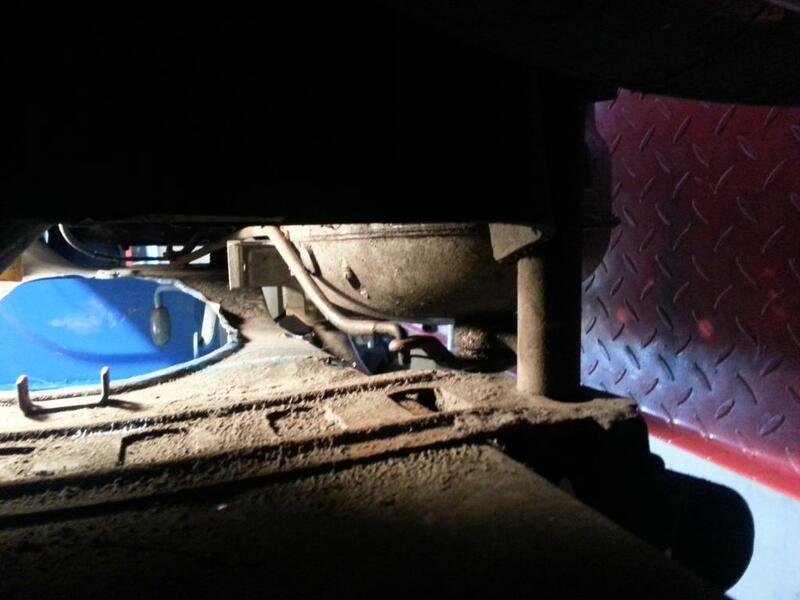 Mystery solved – the 501 below belongs to Scotty. 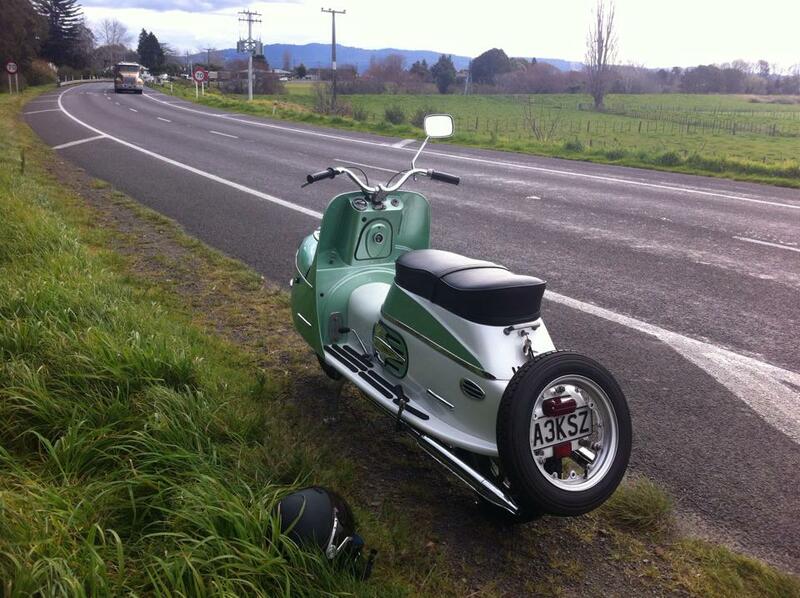 A 501 recently spotted on the side of the road near Te Puke…. out of fuel. Nice colour. I brought this manual off trade me recently. It cost me $8.00 and $2.10 for postage but in the 50’s when this was probably sold it only cost 7/6. That’s about $0.75 in todays money. I have now scanned and made this into an electronic PDF format available for all members as a link on the members download page. You need to login to access the page. Once logged in you will then see the page appear from the main menu under the “links and resources” page. If you have any other Manuals etc that you want to share than just let me know. 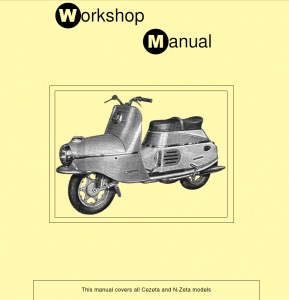 Thanks to Ian Elder for his contribution of this Manual in PDF format. 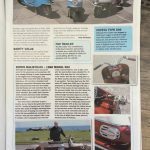 Douglas sent in these links to some articles from an old scooter magazine. Quite a good read and some useful information. Apparently he got them for a bargain and may be happy to part with some bits, so it may pay to find out what bits he has. 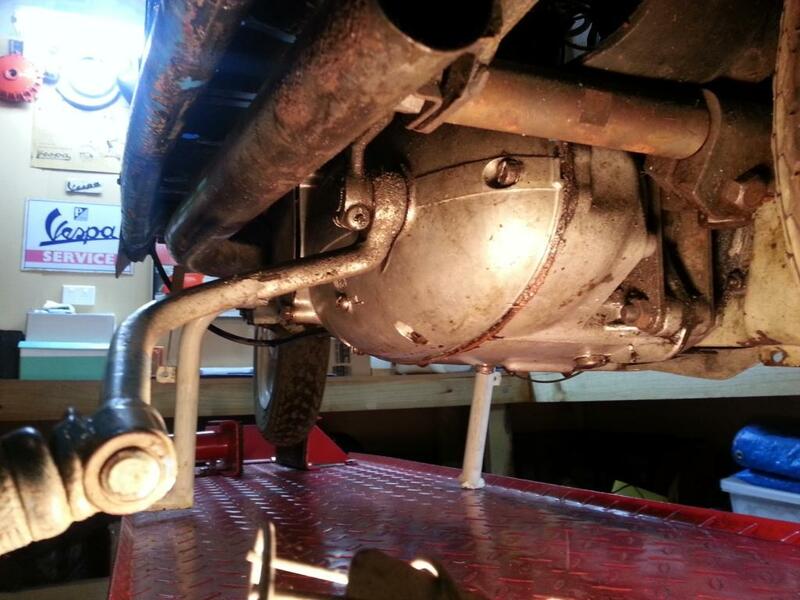 James 501 with a Lifan motor in it – interesting stuff ! Couple of 501 Zetas that were on the MnR run last year. Those mirrors on the green one are just the business plus the possum tail on the aerial, the whitewalls, AA badges and bling is just too cool for school and as for the awesome number plate – WTF! 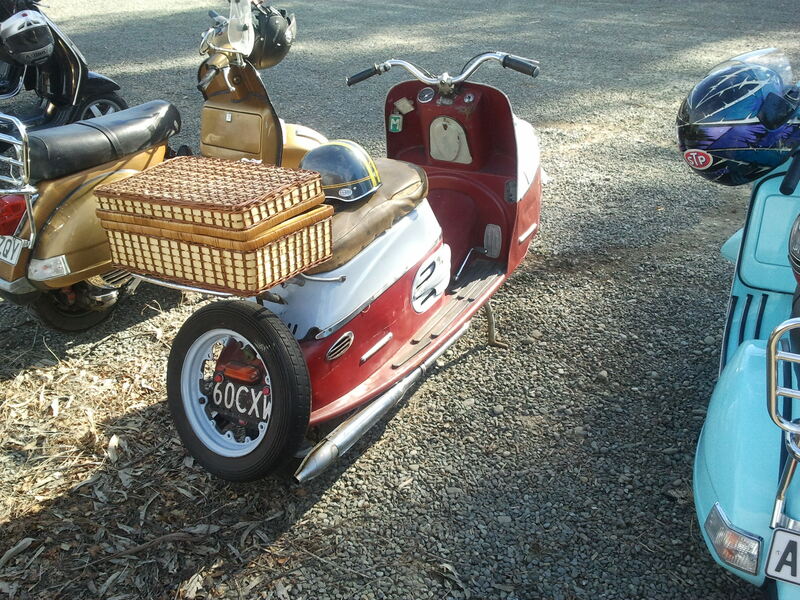 I dunno how safe those helmets are or how waterproof the picnic hamper is but they so go with the scooters !